In short, the FDIC wants the formal agreement between an institution and a vendor to clearly outline the responsibilities (and liabilities) of each of party in the event of an incident, like a systems failure, for example. This sounds reasonable and prudent, but, as with most rules, the specifics can make achieving the desired outcome very difficult. One factor in play in that is complicating an institution’s ability to ensure compliance in this area is the influx of startup and early stage companies across the financial services industry. By their very natures, these companies do not have the kind of balance sheets, public market oversight and history bankers (and regulators) prefer to see when doing their due diligence on a vendor. These companies cannot accept exposure to large levels of liability. That is why in the years running up the digital revolution, large, publicly-traded vendors with a one-stop shopping inventory of products and services were so successful. So, why don’t financial institutions continue to do business with these lower risk options? In some instances, they do – usually across areas of the institution that are less dynamic, where the rate of change is slower and the change agents manageable. Note, however, there are fewer and fewer areas in banking to which this description applies. Within digital banking – on both the consumer and commercial sides of the institution – the rate of change and the unpredictable impact of various change drivers are causing a number of banks to abandon the one-stop shop relationship they have had with the large, less risky, publicly traded companies. 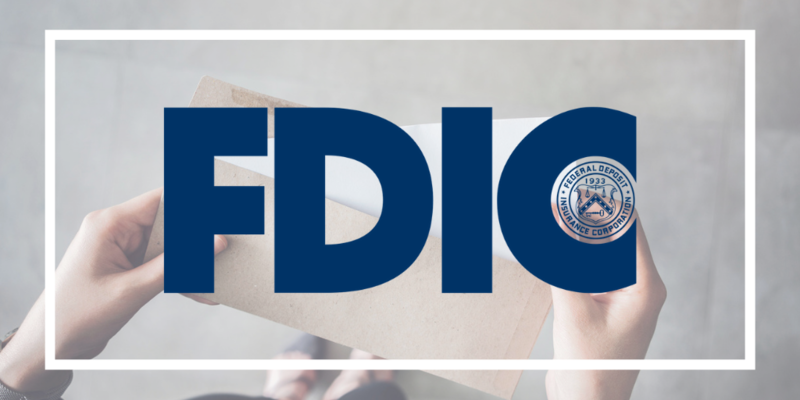 But how does an institution satisfy the FDIC and, at the same time, remain competitive in the digital age, especially with the proliferation of these organizations across the landscape? Do you have a digital officer? Are there at least two people on your board that are digitally savvy? Are your compliance and legal experts on board with the digital strategy? Consider options for transfer of IP to in-house IT or to another hosting option in the event the fintech encounters enough volatility to make its failure a possibility. Adapt and adjust IT and procurement risk assessments to better manage the risk tolerance of a fintech’s viability, size and technology. Consider the value the fintech partnership brings to the financial institution in terms of innovation, improved customer satisfaction, and modernization of the bank’s IT infrastructure.